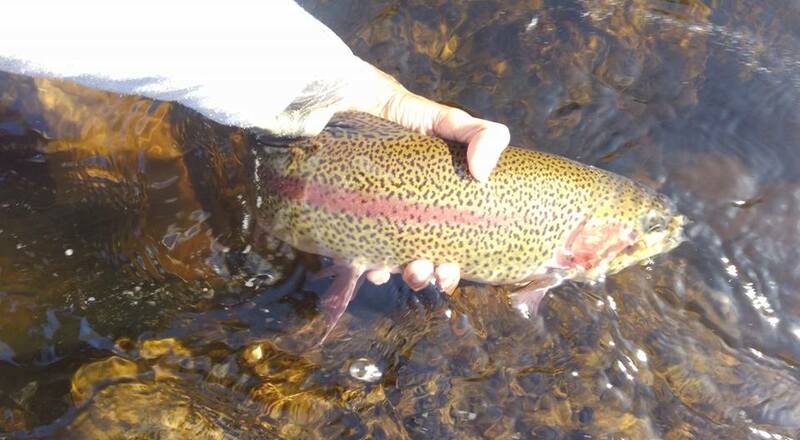 North River Fly Guys: Spring is finally here in New Hampshire! It's that time of the year again! Weather is improving and the trucks are rolling. As expected, the only locations stocked so far are in the southern part of the state but with opening day of trout ponds just around the corner, more and more places should get a smattering of fish. I hit a small freestone yesterday that got stocked last week. I caught and released two small brookies on pheasant tails and missed a few more. The action wasn't as fast and furious as expected and I had to really work for them. Unfortunately, I wasn't able to snap any photos for the blog since they eluded the camera but I wasn't all that upset, considering. Flows are still fairly high and the water is still cold but very fishable. Also, be sure to read the annual stocking reports as they can provide an insight into the numbers and types of trout that are stocked in each location.